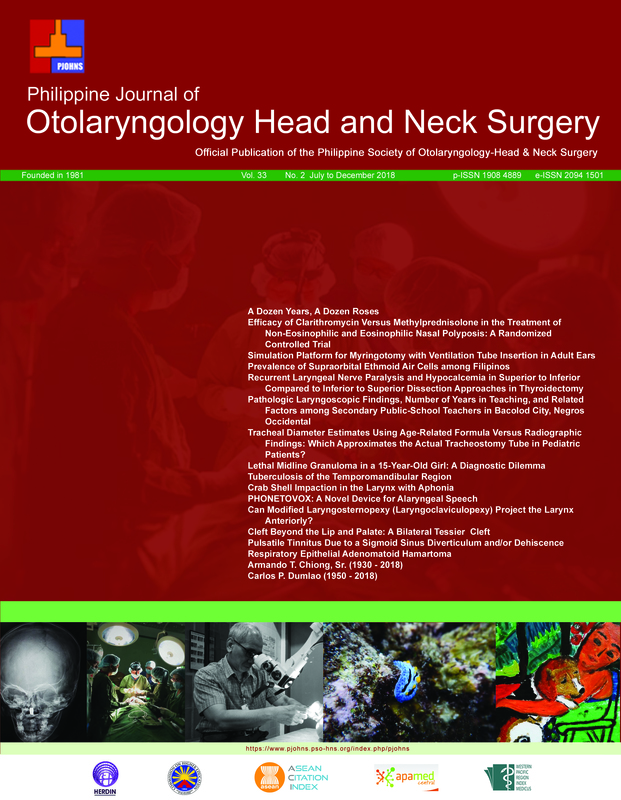 José Florencio F. Lapeña, Jr.
Tracheal Diameter Estimates Using Age-Related Formula Versus Radiographic Findings: Which Approximates the Actual Tracheostomy Tube in Pediatric Patients? Can Modified Laryngosternopexy (Laryngoclaviculopexy) Project the Larynx Anteriorly? Ryner Jose D. Carrillo; Jose Florencio F. Lapeña, Jr.